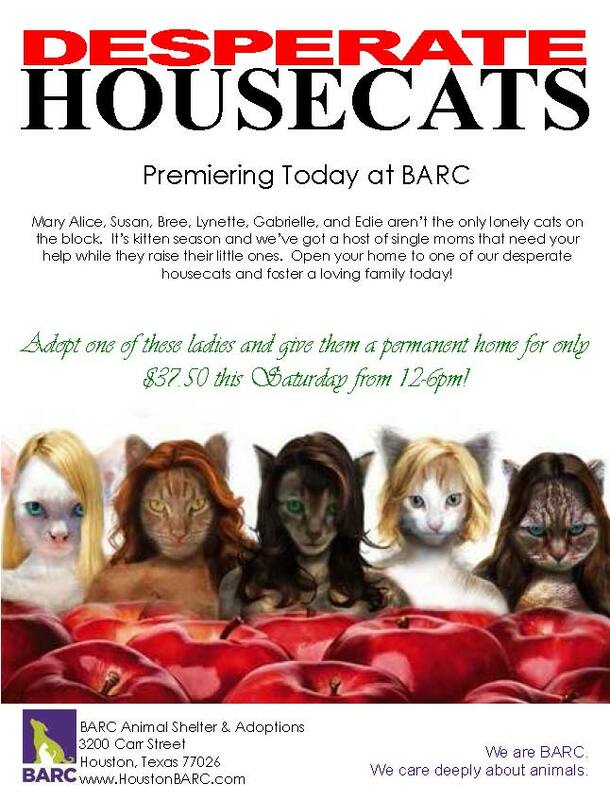 Desperate Housecats at BARC: 300 Cats Want You! Adopt a fabulous feline from BARC this Saturday for only $37.50, noon to 6pm! 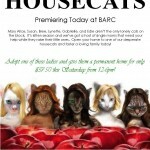 2 Responses to Desperate Housecats at BARC: 300 Cats Want You! I have a precious deaf cat (pure white) who was feral in her youth. While it took several months for the authorities to catch her, it took me considerably longer to socialize her. Until Katy, I had only experienced hearing cats. She has taught me so much about communication. I was only going to foster her, but fell completely in love with her – and I’ve NEVER regretted adopting her. She needed a loving home and I needed her companionship. As she ages (she’s now 11 years old) she has become more frequently vocal (meaning she talks more often – she has always talked LOUDLY, I expect because she has no clue how loud she meows) and communicates in ways I never dreamed a cat could. If you’re looking for a loving companion, fostering or adoption are both immensely rewarding endeavors. I would encourage anyone to pick a shelter cat…they need you and will reward your efforts many times over!